Flip 5 coins. This attack does 20 damage times the number of heads. 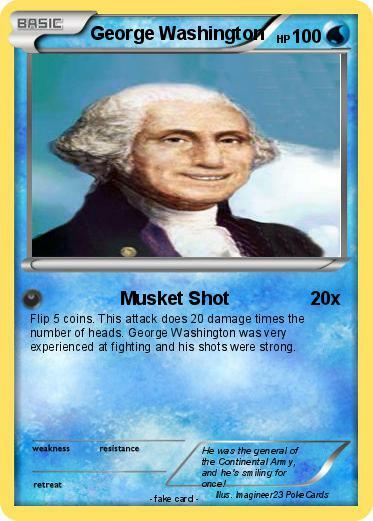 George Washington was very experienced at fighting and his shots were strong. Comments : He was the general of the Continental Army, and he's smiling for once!